Eating the wrong carbohydrates can cause blood-sugar spikes, sending your moods and energy levels on a not-so-thrilling roller coaster ride. Often, the ride leaves you craving more carbohydrates just to feel good again. Take control with healthy low-carb snacks that fill your body with sustaining energy from healthy sources. 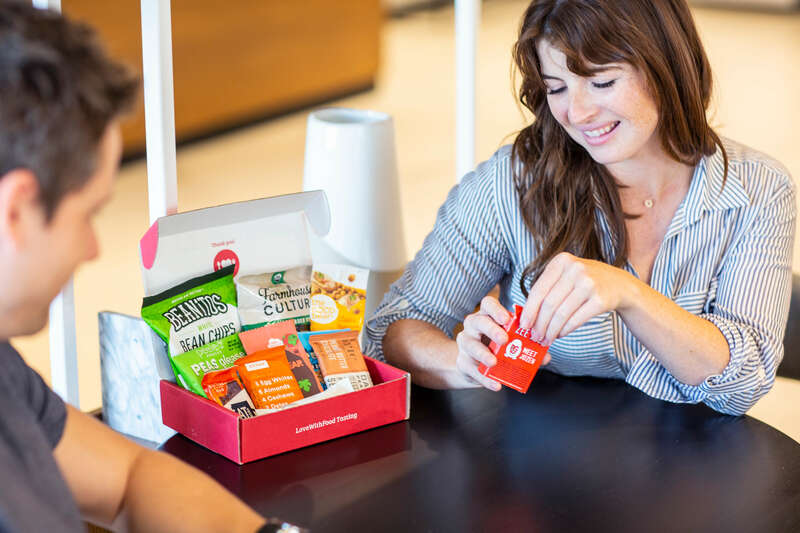 Kick off your new snacking game with these delicious and healthy low-carb snacks, all carefully crafted to help you avoid insulin spikes and stay rock-steady all day long. 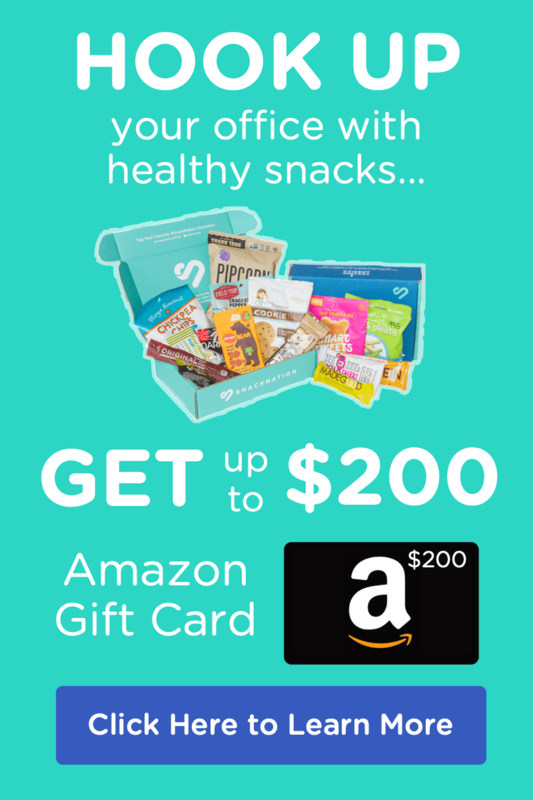 Do you want delicious low-carb snacks shipped to you every month? For a limited time you can get 40% off your first Love With Food Deluxe Snack Box! Plus – for every box you purchase they’ll donate a meal to a local food bank on your behalf. 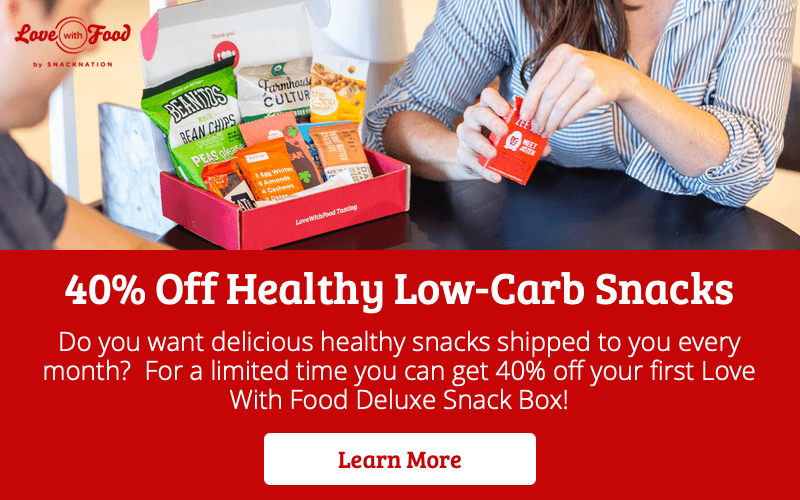 Get 40% OFF your first box here! Isn’t the best part of the sandwich what’s inside the bread? Instead of swearing off sandwiches, take a tip from the Diet Doctor and start using big leaves of lettuce, chard, or collards as vessels for your favorite sandwich fillings. Seriously, if you can put it into a sandwich, then you can put it into a low-carb leaf. This trims some carbohydrates from your snack, and it also adds vitamins. Here’s a low-carb snack that will seem a little strange at first glance, but you might just get addicted to it. These truffle-like snacks from Healthful Pursuit are a little bit sweet and a little bit salty. To make them, just press a clean grape into a ball of your favorite goat cheese and roll everything in some chopped pistachios. White daikon radishes have a milder flavor than their peppery red counterparts. Daikon radishes are sweet, fresh, and crispy. Slice them up to make the perfect low-carb “chips” to pair with fresh guacamole. Swapping daikon radish for tortilla chips doesn’t just help you cut carbs; it also provides you with a healthy dose of calcium, vitamin C, magnesium, and iron. Here’s another guacamole recipe you can try for your next meal. We’ve done a lot of things with avocado, but until now, pickling wasn’t one of them. Thanks to the KetoDiet Blog, now we know we can just put some avocados into a vinegar-based mixture to boost the avocado’s flavor into cravable, snackable territory. This snack proves that avocados don’t need corn chips to make an incredible snack. Low-carb peanut butter and jelly is now at your fingertips with Wicked Stuffed’s recipe for awesome mini sandwiches. 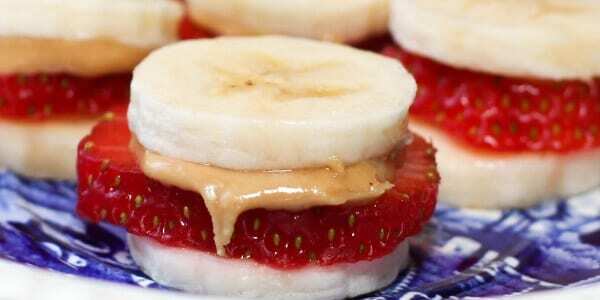 Swap banana slices for bread and strawberry slices for jam and leave the peanut butter in its naturally low-carb state. These little sandwiches are fast and easy to assemble, and they make the perfect snack any time of day. 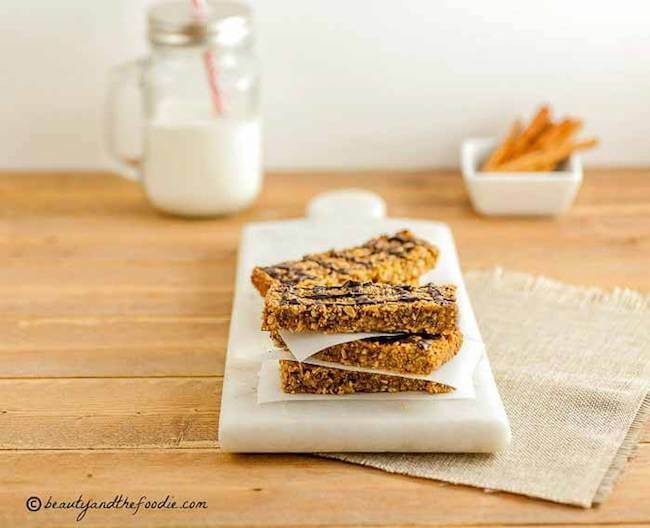 With a little help from Beauty and the Foodie, you can take many of the carbohydrates out of your granola bars by using nuts, seeds, and coconut flakes to make snackable low-carb bars that are just as satisfying as their grainy counterparts. The snack salad from the Ketovangelist Kitchen is a low-carb eating savior. Smother celery and cucumber with fresh herbs to elevate the simple green vegetables into gourmet territory. This green mix has plenty of flavor to tide you over to your next meal, no carbs necessary. The foodie behind Vegetarian Gastronomy blends tofu with oil, garlic, and basil to make a creamy spread that pairs perfectly with a variety of vegetables. Smear the tofu concoction on fresh zucchini slices to make a low-carb snack that has all the satisfying flavor of a noodly lasagna. 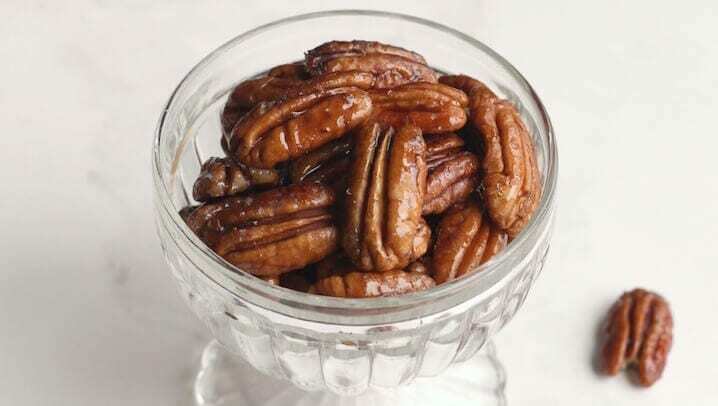 With a rich, almost buttery flavor, low-carb pecans make a satisfying snack, whether they’re raw, roasted, or dusted with salt and fresh herbs. 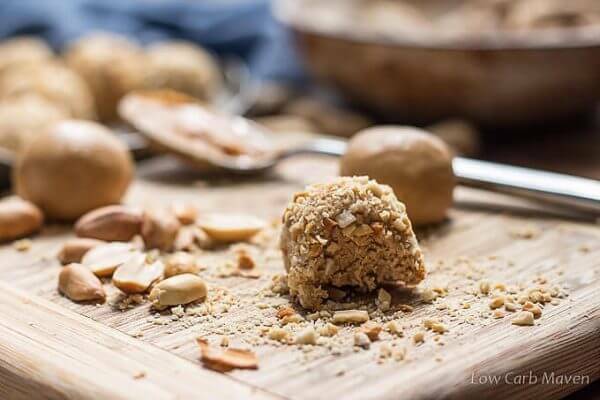 Pecans are packed with good-for-you fats, filling protein, and vitamin E.
With just one net carb each, Low Carb Maven’s peanut butter balls will come to the rescue any time you experience an inconvenient snack attack. Made with just a few simple ingredients that are easy to keep on hand, the balls don’t even need to be cooked. These sweet and spicy nuts will satisfy your need for candy and chocolate. DJ Foodie uses butter and egg whites to give these nuts that sweet coating you crave. Think of the “slice” as a low-carb version of biscotti. This slice from the Castaway Kitchen has two delightful layers to get you excited for snack time. One layer includes smooth and rich pumpkin puree, sunflower seed butter, and pepitas. The other layer features semi-sweet chocolate and creamy vanilla flavor. Healthy low-carb snacking has never seemed so decadent. If you thought going low-carb meant kissing crackers goodbye forever, then kiss these low-carb crisps hello. 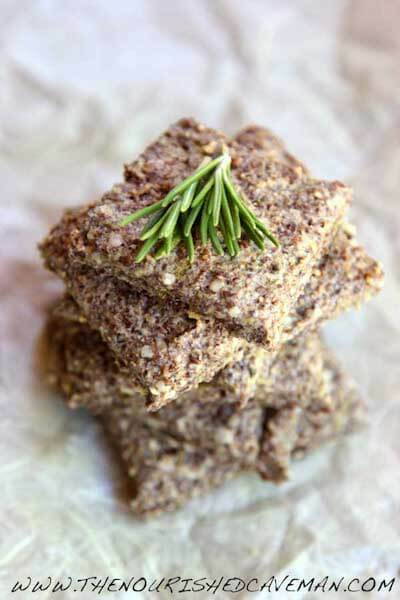 The Nourished Caveman adds crunch with flaxseed meal, chia seeds, and hemp hearts. Tie all the ingredients together with eggs and fresh rosemary to make an unbelievably flavorful and crisp cracker that rivals anything you can get from a box. 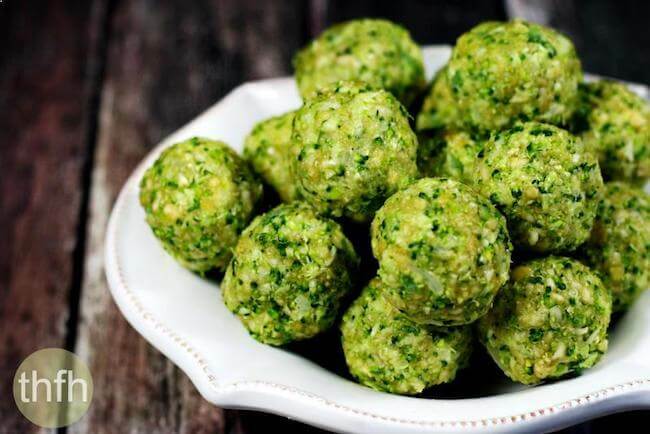 Raw broccoli and organic cashews form the base of these no-bake, low-carb snack balls from the Healthy Family and Home. They feel way more like a treat than raw broccoli florets with some dip, and they keep well in the refrigerator to satisfy future snack attacks. Get all the flavor of your favorite Italian dish in a quick, easy, and raw package that has half the fat and half the fuss of its rich, cheesy counterpart. To make raw eggplant parmesan, simply slice and salt an eggplant, and then top each round with a dollop of marinara, a slice of tomato, and a sliver of high-quality Parmesan cheese. These snacks also taste amazing if you pop them in the oven at 325 degrees for about 25 minutes. Green peppers have less sugar than their colorful siblings, and they taste just as good with some satisfying hummus. This healthy snack packs far fewer carbs than pita chips and hummus. Plus, fresh green peppers give you the crunch you crave, and they add a slightly acidic element to your snack that provides a more interesting flavor than any chip. Why make chips out of starchy potatoes when there are so many awesome low-carb vegetables that crisp up like magic? You can buy premade kale chips at the grocery store (just check the label for added sugars) or make your own at home. Just toss kale leaves in a drizzle of olive oil and your favorite seasonings and bake at 350 degrees until crisp. Do not forget to remove the stems; the thick watery stalks will stop your chips from crisping up. This easy and elegant salad tastes like it came straight from your favorite sushi restaurant. Make a big batch and keep it in the fridge so you can have something tasty and light in carbs for a quick snack any time. Shred or spiralize some flavor-filled carrots (they taste a bit like pasta this way), toast some raw sesame seeds in a prepared pan, and grate up some fresh ginger. Toss everything together to make a brightly colored snack. Add some toasted sesame oil to take the flavors up another notch. A popular Chinese comfort food, the steamed egg is a perfect low-carb trick to have up your sleeve. Eggs have lots of satisfying protein, and this preparation method adds a little bit of diversity to your egg-prep repertoire. Steamed eggs are also perfect for tricking your body since you’re getting a healthy clean treat that tastes a bit like a rich custard. Did you realize you can bake an egg inside nearly any vegetable to make an intensely satisfying low-carb snack? To make this version, just crack an egg into half of a hollowed bell pepper and bake at 325 degrees until the egg is cooked to your liking. The heat from baking will make the bell peppers soft and sweet, a perfect compliment to the salty, creamy eggs. Roll up a bunch of delicious ingredients (including pumpkin puree, oats, and almond butter) into balls to make a portable low-carb snack that provides just the right boost of energy. Without lots of sugar and carbs, these balls won’t make your energy levels crash later on. When it comes to satisfying low-carb snacks, jerky reins supreme. 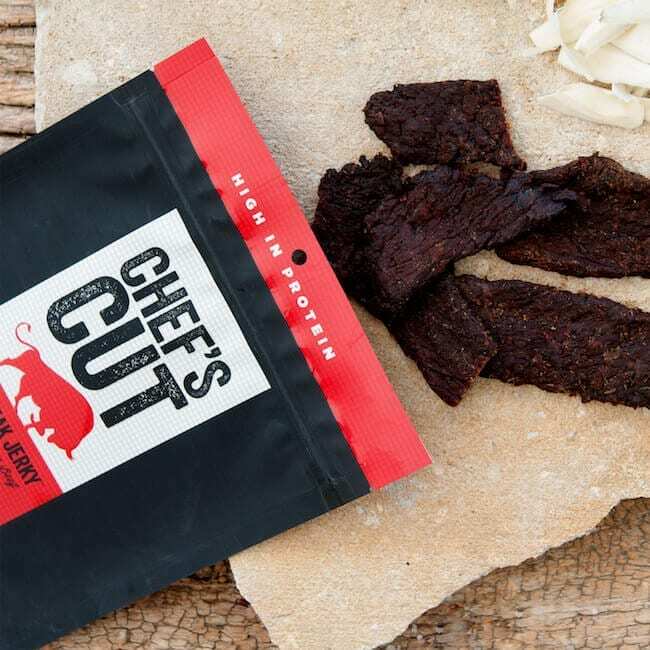 Packed with lean protein and lots of flavor, jerky has been keeping people away from carb-laden chips and snacks for decades. Healthy low-carb snacks don’t get much tastier or simpler than Wonderful’s premium, flavor-packed pistachios. Pistachios are packed with good fats, protein, and antioxidants, and the meaty nut has flavor that satisfies for hours. 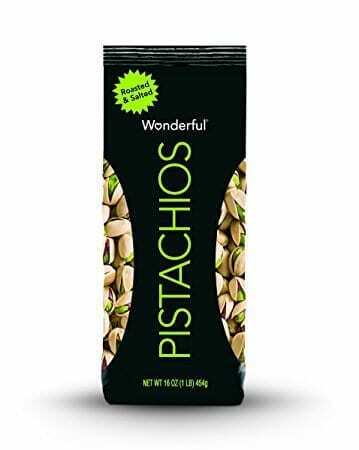 Wonderful makes their pistachios in a variety of flavors to stop your cravings. Try your pistachios roasted and salted, flavored with sweet chili, and without any salt at all. Cello makes light and flavorful cheese crisps that make perfect anytime low-carb snacks. The snacks are gluten free, high in protein, and completely pure since they’re made of 100% cheese. The whisps don’t require refrigeration, eliminating your worries about always needing a refrigerator when you’re craving a cheesy snacks. You can keep these whisps anywhere you think you might feel the need for a salty low-carb snack. Gaea makes it easy to snack on healthy low-carb kalamata olives, no can-opener required. The snack packs are filled with Kalamata olives picked fresh from organically cultivated trees. 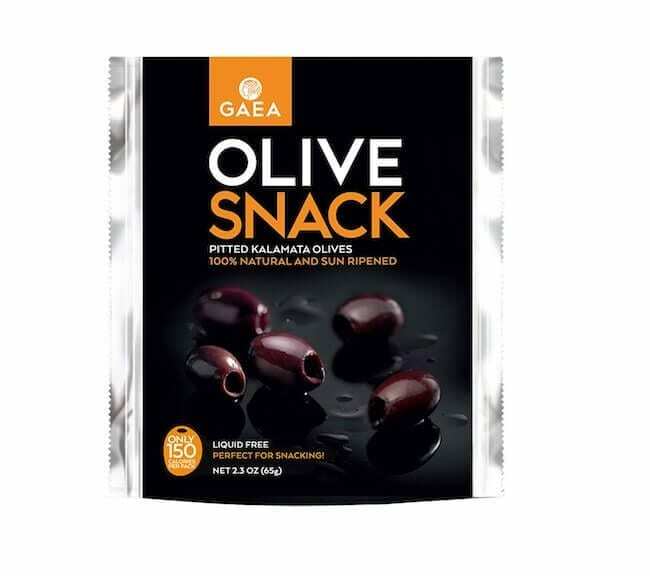 Gaea doesn’t use any weird preservatives of fluid to drown the olives, so when you open a pack, you’re just snacking on pure and simple olives packed with copper, vitamin E, and fiber. When the best-quality grass-fed bison is packed into a tasty bar, you’ve got a low-carb snack you’ll be excited to eat. 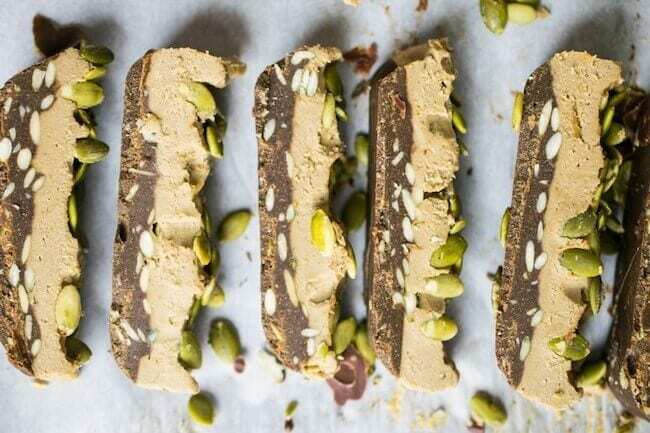 This Epic Bar is low glycemic, gluten-free, and paleo friendly. It’s full of bison and dried cranberries, and uncured bacon. 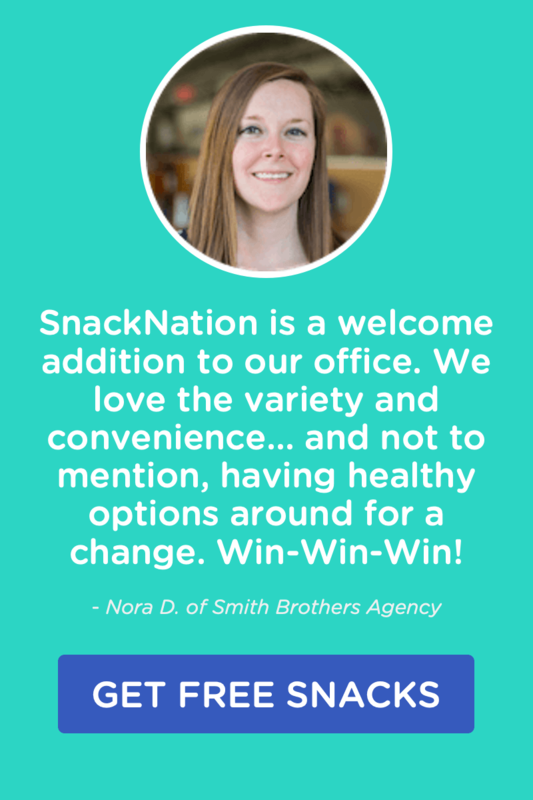 As satisfying as a steak, this snack comes in a convenient package for on-the-go snacking. Toss a few of these handy almond butter squeeze packs in your bag, and you’ll never be without a perfectly satisfying low-carb snack again. Squeeze these packets onto some celery or straight into your mouth when you need a quick bite. 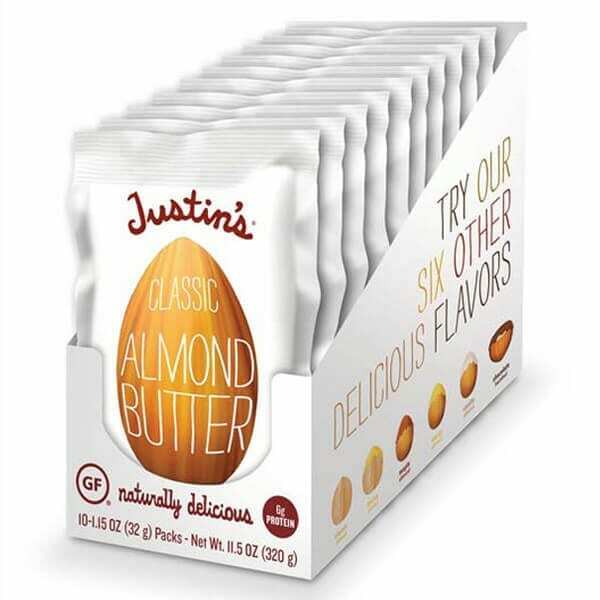 Justin’s expertly crafted almond butter tastes so good by itself, you really don’t need to put it on anything to have the perfect snack. 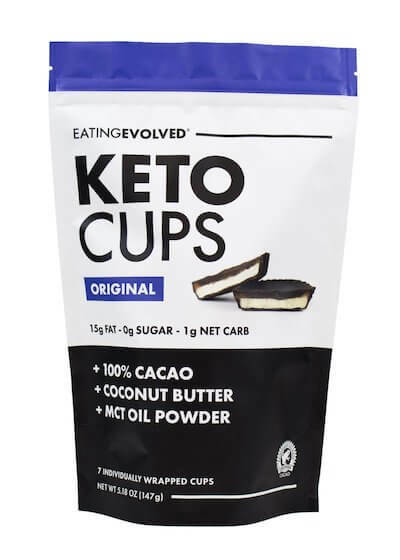 Brace yourself for a surprising treat: These cups look like candy, but they’re unsweetened, providing you with a low-carb snack that actually lets you taste the chocolate in your chocolate. Rich cacao stands out like never before in cups filled with coconut butter and flavored with rich vanilla. The cups have one 1 gram net carbs per serving, plus they’re made with Rainforest Alliance certified ingredients. Slice and pit an avocado and fill the hole with spicy tuna, which you can make with some quality canned tuna and a generous squirt of sriracha. This snack will give you all the filling flavor of a spicy tuna roll, without all the carbohydrates you get from sticky white rice. This is how a boss low-carb snacker enjoys chocolate, in its pure, delicious form. Think of Cacao Nibs as raw chocolate, before it’s been wrecked by high-heat processing and refined sugar. These delightful bites have a strong satisfying flavor, and they’re packed with phytochemicals, antioxidants, and vitamins. Once you start enjoying the flavor of rich cacao nibs, you might never go back to sickenly sweet, carb-laden chocolate. What’s your favorite low-carb snack? Let us know in the comment section below!